Iran has denied a shipment of crude oil to Greece, Fars news agency reported on Sunday. However, according to ISNA, an Iranian oil industry official has rejected the report, saying there had been no changes in Iranian oil shipment schedule. A Greek oil tanker, denied loading of the expected 500,000 barrels of oil in Iran, has returned home, the Fars report says. The shipment was meant for Hellenic Petroleum refinery. 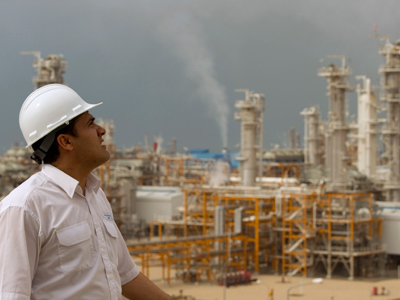 The refinery official, however, denied that the company was refused any oil shipments from Iran. “That has nothing to do with us … all supplies from Iran have been processed normally,” the official said, as cited by Reuters. According to the ISNA news agency, the managing director of Iranian Oil Terminals Co. has also denied there had been change to the country’s oil shipments. "There has been no change in Iran's oil shipment to Greece or any other country. No changes in our shipment schedule," said Pirouz Mousavi. So far there is no official confirmation the move is part of pre-emptive action against sanctions imposed by the EU forbidding the purchase of oil from Iran after July 2012. Western powers have been putting pressure on Iran by crippling its oil export since December, when a ban on Iranian oil was issued by the US. The EU, which unlike the US buys considerable amount of crude from Iran, joined the sanctions in late January. 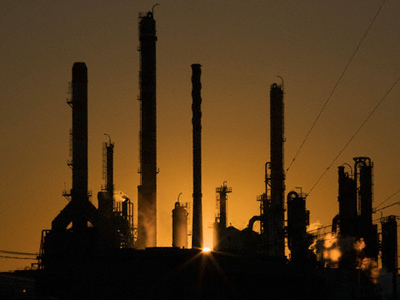 But it allowed import to continue for six months to allow European refineries find new supply routes and possibly to adjust to different brands of crude. Tehran however pulled the rug from under European’s feet by banning export to some EU countries ahead of the scheduled cut. 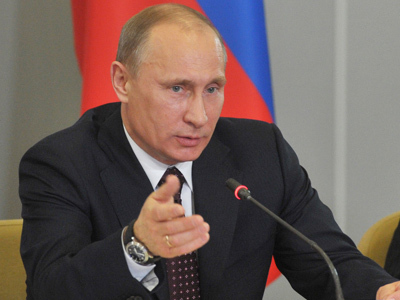 On February 19, it officially denied export to Britain and France, the two key sponsors of the EU sanctions. On Monday, Iranian Oil Minister Rostam Qassemi warned that other European countries may be sanctioned by Tehran in a similar way, "if the hostile acts… continue”. Back then the news sent oil prices to a nine-month high. Greece opposed the EU move, because switching to other source of crude would cost its already debt-ridden economy dearly. However eventually it agreed to the ban along with other EU members. The economic sanctions against Iran are meant to arm-wrestle it into abandoning its uranium enrichment program. The West accuses the Islamic Republic of secretly trying to build a nuclear weapon. Tehran denies the allegations and insists that its nuclear program is purely civilian. 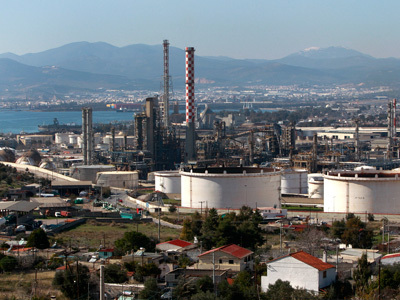 ­Greece has no domestic production and relies solely on imports of crude oil. Since the first bailout deal with IMF and EU had been reached, Greece was forced to turn to Iran as a supplier of last resort. Many oil traders refused to deal with Greece over fears that the deepening crisis will hamper Greece’s ability to pay for shipments in full, Reuters reported last year. At the same time, due to Iran’s own problems with operating on the international markets, the Islamic Republic has agreed to extend credit to Greece, becoming its main supplier in 2011. According to some reports, over 50 per cent of all oil imported in Greece in 2011 was of Iranian origin. By comparison, in 2010 that amount was only about 16 per cent, while 46 per cent was imported from Russia. The major international oil companies and banks refused to deal with Greece because there was "too much risk." "Companies like us cannot deal with them. Maybe independent traders are more geared up for that,” one of the traders told journalists. Another trader confirmed that not a single bank was willing to finance the oil trading operations with Greece. ­If Iran indeed halts oil shipments to Greece that would not be a “checkmate”, but certainly a “check” to the whole of Europe, believes strategy consultant Gonzalo Lira. “In this chess game that is being played between the West and Iran, Iran has just made a brilliant move,” Lira told RT. The interruption of oil flow from Iran will be catastrophic for Greece, but it will be just as bad for other European countries’ economies, and specifically the European banks, says Lira. Greece has no means to pay off its debt before March 20 deadline and at the same time pay for oil from Saudi Arabia or Russia, who refuse to give Greece any oil except in exchange for hard currency. “[Greece] has been getting this oil at incredibly favorable terms from Iran. Iran has been essentially giving free oil to Greece,” he explained.